The Army Aviation Foundation “Legacy Chapter” is located in Hampton, Georgia, next to the Atlanta Motor Speedway at the Henry County Airport (HMP). 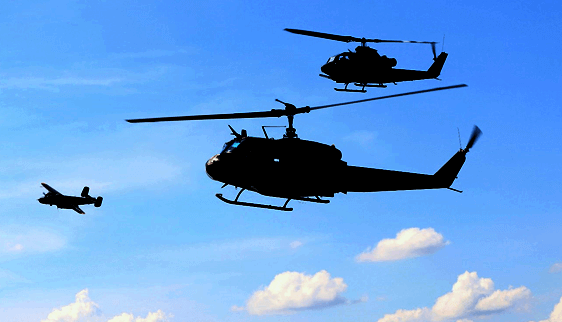 The Legacy Chapter operates three Bell UH-1H Huey helicopters and three Bell AH-1 Cobra helicopters. These aircraft and the chapter members work to support the foundation mission of presenting the Army Aviation story through patriotic flying presentations, passenger flights and static displays of the actual aircraft and equipment used by the men and women who served in Army Aviation. The aircraft may attract our supporters but it is our volunteers that keeps bringing them back! Our family of volunteers includes veterans of several eras: Vietnam, Gulf War, Operation Enduring Freedom-Afghanistan; as well as active and patriotic civilian members. President: Freddie Ladon Briggs Jr.